Two years before the Brexit referendum, I wrote a piece for the Political Quarterly reflecting on its potential downfalls. My concerns were prompted by research showing that many people in Britain had declining faith in government and only a limited understanding of the European Union (EU). The paper challenged a widely-held theory that voters can make up for their lack of familiarity with public issues by taking their cues from trusted sources. It suggested that there was a knowledge deficit at work that cast doubt on the wisdom of this one referendum in particular, and of national referendums in general. Recent experience with referendums in other EU member states hinted – I suggested - at three possible outcomes in a British vote: that many voters would take part without independent and informed knowledge of the issues at stake, that many would thus be swayed by partisan elite opinion, and that many would make their choice on the basis of their views about domestic politics rather than their views about Europe. Four years later, and two years after the Brexit referendum, how have these conclusions held up? The concern about voters lacking knowledge derived from polling data which showed about half of Britons admitting that they did not understand how the EU worked. Ironically, the Brexit referendum campaign was to offer many of them an intensive lesson in EU matters; the EU was discussed in Britain with an intensity that had not been seen since at least the first referendum on membership of the European Community in 1975. But while they heard a great deal, were they carefully guided, or misled? Regarding the second assertion that many people would allow themselves to be swayed by elite public opinion, there is no question that this is what happened. Many allowed themselves to be influenced by partisan media and political leaders. Much of what they heard from the Remain side was speculative in terms of what might happen in the event of Brexit, and much of what they heard from the Leave side was simply wrong. Symbolic of the misinformation was the now infamous red bus bearing an inflated claim about how much EU membership cost the UK, and making the unsustainable assertion that the savings could all go to the National Health Service. 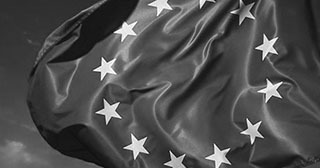 As to whether British voters would make their choice on the basis of domestic political issues or on their views about Europe, it has been very clear since the Brexit vote that much of the support for leaving was based not on an informed criticism of the EU, but on resentment felt by about immigrants, political leaders, globalization, the economy, and political marginalization. In this sense, the EU was a handy and timely scapegoat. No-one writing or speculating prior to the referendum had any idea just how serious would be the political and economic ramifications of leaving. Not only was it widely supposed that the vote would favour Remain, but when it favoured an exit, the disruption that came to British politics, the divisions revealed within British society, and the enormous difficulties of negotiating an acceptable exit agreement, were barely imaginable. The Brexit referendum, I concluded in the paper, would be held ‘against the background of a disturbing combination of declining faith in national government and widespread uncertainty among British voters about the meaning of membership of the European Union’. With the result now in, and the problems created by that result still evolving, the dangers of declining public faith and limited voter knowledge have never been so clear. John McCormick is Professor of Political Science at Indiana University-Purdue University Indianapolis. You could say there's limited voter knowledge relating to the vast majority of democratic votes. Also, the facts (some would say lies or half truths) supporting remain i.e. WW3, UK economy off a cliff edge, emergency budget, major tax rises, major cuts in public expenditure, capital & business flight etc, have not transpired over 2.5 yrs later.